The sequel to The Lego Movie, a blockbuster movie, brings together the heroes of Bricksburg in a new adventure to save their beloved city. 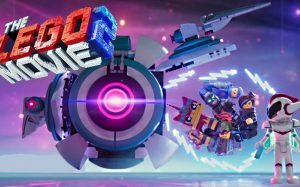 Five years have passed since that frightening adventure and now citizens have to face a new and gigantic threat: the LEGO DUPLO®, invaders from outer space, which destroy everything faster than it can be rebuilt. The battle to defeat them and restore harmony in the LEGO® universe will lead Emmet, Lucy, Batman and their friends to distant and unexplored worlds, including a strange galaxy in which everything is a musical. Their courage, creativity, and the skills of MasterConstructors will be tested, and they will discover how truly special they are.